In a very conservative Jewish family, sisters Rose and Pearl grew up close in age and close to one another. Like all sisters, tho, they also envied one another. When Rose, as a young teenager, brought home a book of photographs, Pearl reported her to their parents- with severe consequences. Rose was sent to live with her grandmother and attend and even more conservative religious school. Instead of reforming her behavior, she took the opportunity to do more forbidden things- even enrolling in a college photography class. Rose’s family made one more attempt to keep her from straying, by arranging a marriage for her. Rose accepted it- until a few days before the wedding, when her groom told her she would have to give up her beloved photography. Torn between family and tradition on one hand, and freedom and art on the other, what could Rose do? 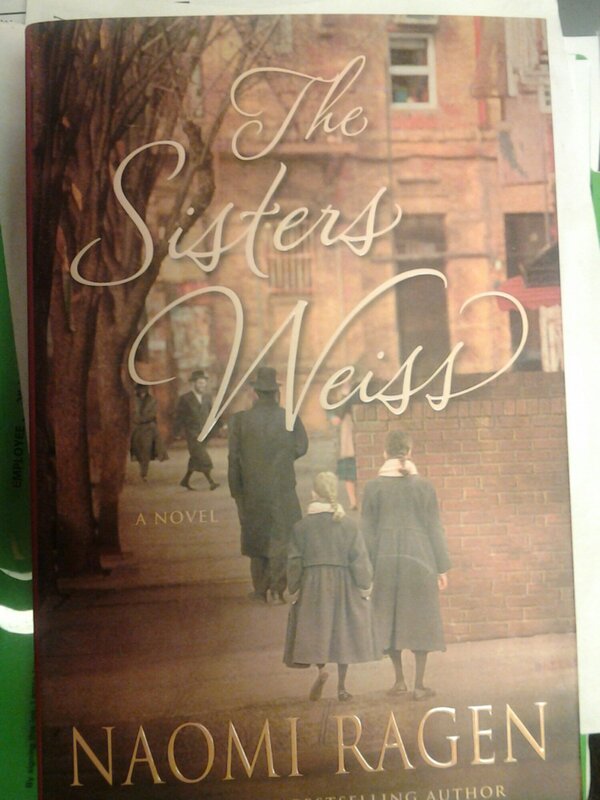 The Sisters Weiss jumps forward forty years at this point, for the second half of the book. Both sisters now have daughters of their own- and haven’t spoken to each other in years. Its impossible to summarize without a spoiler for the first half, so I’m just going to leave it there. Except to say that the tension between faith and freedom repeats itself for younger generations. I have read and enjoyed many of Ragen’s other books. This one, however, struck a surprisingly personal note with me. I also grew up in a very conservative religious family- altho not Jewish, and not as strict as the fictional Weiss family. I can very much relate to the struggles Rose and Pearl face- trying to find their place in both their faith and the world. In The Sisters Weiss, Ragen has written an interesting story. She has also addresses complicated, real-life issues with understanding and grace. This entry was posted in Fiction and tagged book review, faith, family, jewish, Judaism, orthodox, photography, sisters. Bookmark the permalink.